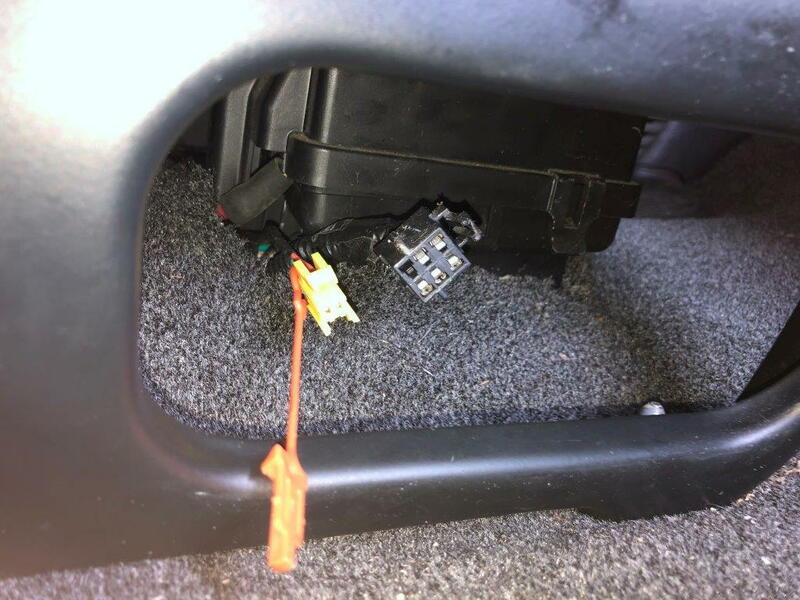 What is this plug under front seat of 2005 Express? Hello, first time post. I recently purchased a 2005 Chevy Express 1500 passenger van. The previous owner swapped out the power seats for manual seats. My seat belt warning chime does not activate. I'm curious about what the yellow plug (with the orange plastic thing) in the picture does? Is it for the seat belt chime connection? Would love a wiring diagram for this part of the van if anyone has one. The Yellow is to do Airbag stuff. I am scared of Yellow. The Six Pin Connector plugs into your seat. I have the exact same connector and no power seats. There should be a plug coming from your seat somewhere, it will plug in and your seatbelt buzzer should go out. Incidentally, mine is plugged in and I never wear my seatbelt. I do not even notice the light or any alarms anymore. It's just normal whatever it does or doesn't do for me. The Yellow is to do Airbag stuff. I don't believe the 2005s had any in-seat airbag stuff. He said he wasn't getting a chime, which is why I say it's not the seat-belt switch. Last edited by mountainmanjoe; April 10th, 2019 at 3:46 AM. I am actually not sure that I get a chime either. The light yes, chime no. it may be for the seat position switch. multistage airbag systems want to know how close the driver is to the steering wheel. does it have 2 wires pink and green? the orange clip is the connector position assurance to lock the connectors together. Last edited by tech2; April 10th, 2019 at 8:46 AM. dberladyn, I have to ask: Why do you "and I never wear my seatbelt" ? Having been in an accident in my '96 Express van, which totaled it, and the Siverado P/U that hit me, and walked away with just light bruising (after all airbags went of), the worst of which was directly on my hips where the safety belt restrained me (from flying into the instrument panel and steering wheel), I can't imagine the injuries I would have got had I not been wearing a seatbelt. i crashed my first 04 impala. i never buckled up till i got to the main road and my accident was on a back road. i ended up going into a tax ditch (a ditch around farms thats about 6' deep) going about 55-60 sideways and i hit a 90° corner of the ditch. i wasnt buckled head wenrt through the sunroof i pretty much cut my ear off and ended in the passengers seat where my right arm went through the side window and cot a 6" gash on my arm. for some reason the car stopped right then and didnt flip, i also cracked a couple ribs somehow, i might not be here if the car did flip. from that point on i buckle up right after i start any vehicle i drive. I also would be badly maimed or dead if it weren't for seatbelts.